The Town Square Theater is the relatively new home for both the Mickey Mouse and Princesses character greetings. The birdhouse in this picture is a prop in the gift shop attached to the exit area. It is significant for a few reasons. First, it came from Mickey's Toontown Fair, which was the former location of Mickey's character greeting. Second, the door of the birdhouse is a great "hidden Mickey." Be sure to look for it the next time you are in Town Square Theater! Here is a fun picture from this year's Star Wars Weekends at Hollywood Studios. This display was in the Streets of America area, across from Lights, Motors, Action! You don't see many smiling Stormtroopers with their helmets off and sunglasses on their heads, but I think I pulled it off. Thanks to my friend Jodi, who snapped this picture. The Plaza is probably the most underrated table service restaurant in the Magic Kingdom. It is a great little spot on the corner of Main Street to have a decent meal at a reasonable price. You also get fantastic views of Cinderella Castle, and if you time it right, you can catch Wishes from here. It is usually pretty easy to get a reservation at The Plaza. The next time you are at the Magic Kingdom, give this restaurant a try. I recommend the Reuben sandwich! This shot was taken while I was lying in a hammock on the beach at the Polynesian Resort. This area of palm trees surround a spot called "Sunset Point." It is a beautiful strip of land that is often used for weddings. Cinderella Castle provides the perfect backdrop for couples to tie the knot. When it isn't being used for weddings, Sunset Point is usually a quiet area that allows for fantastic views of Seven Seas Lagoon and the surrounding hotels. This is a close up shot of the right side mosaic mural leading up to The Land pavilion at Epcot. These murals are 134 feet long and are made up of 150,000 individually shaped pieces of marble, slate, granite, glass, and gold. They were created by Scharff and Scharff, the same father and daughter-in-law team who did the murals inside the breezeway of Cinderella Castle in the Magic Kingdom. The emerald green piece is the only difference between the virtually identical left and right sides adorning the front of The Land. It is said that this emerald is the birth stone of the Scharff who created the right mural, and this is considered the artist's "signature." The new Art of Animation Resort has an amazing and unique lobby. There is a huge mural across from the check-in area that features "concept" sketches of many well known Disney and Pixar characters. This one shows how the animator turned a cow into a tractor for the movie Cars. This resort is worth a visit, even if you aren't staying there. This very large hall in Innoventions West at Epcot is a great place to sneak into some air conditioning on a hot day. It is also a quiet spot to make a phone call if you need to. There is a picture timeline on the wall showing the history of Epcot. This interior walkway also provides a shortcut when walking between the Fountain of Nations Plaza and the Land pavilion. I snapped this picture last week, right after Illuminations, as I was making my way over to ride Soarin. I took this shot at the Japan pavilion in Epcot last week. I was standing pretty close to the Katsura Grill looking toward the Koi Pond. This is one of the most scenic of the World Showcase nations with some great areas to explore. The upper level area next to the Katsura Grill is a great place to sit and relax. It is also a nice place to enjoy some delicious, and reasonably priced Japanese food. Several of the buildings that make up this pavilion are replicas of historical structures in Japan. I enjoy talking about them on my private guided tours. The official name of this attraction is the Tomorrowland Transit Authority PeopleMover, but I'll always know it as simply the PeopleMover. This shot was taken around 1:00 am last Saturday morning. This is the area of the ride that passes the Carrousel of Progress. I had this entire train to myself and rode it twice in a row. This has always been one of my favorite attractions as it gives you a chance to relax while enjoying a trip around Tomorrowland. It is also a smooth and quiet ride as it moves along the linear induction system that is powered by 533 electro magnets. This shot was taken inside the new Tutto Gusto "Wine Cellar" at the Italy pavilion in Epcot. It is attached to Tutto Italia Ristorante, which is the fancy Italian table service restaurant. After a long day of touring last Friday, I was looking to try the pizza at Via Napoli. They had no availability, so I walked into Tutto Gusto to see what it was all about. Much to my delight, I didn't need a reservation and the hostess asked if I'd like a high table, low table, or couch. After walking more than 10 miles that day, the word couch sounded very inviting. Even though this restaurant focuses on the wine, they also serve light meals. I ordered a couple of delicious mini sandwiches that were served with a small side salad. I also learned that you could order off of the menu from Tutto Italia. This is a hidden gem for those who can't get a last minute reservation at the "Ristorante." You can relax on a couch and still get served the same food that you would have enjoyed next door. I will definitely be heading back to Tutto Gusto in the near future. Digital Disney World has always been about "connecting" us to the Vacation Kingdom. Whether it be through digital pictures, apps, podcasts, or websites, there are so many ways to enjoy Walt Disney World, even when we can't be there ourselves. The website that I'm going to be talking about today is also about making a connection. It helps us connect Disney films to the theme parks in a fun and enlightening way. FromScreentoTheme.com is the official website of Brent Dodge. Brent is a former member of the Walt Disney World College Program and a huge Disney fan. Back in 2008, he decided to write a book about the references to Disney films found throughout the parks. The name of this book is "From Screen to Theme: A Guide to Disney Animated Film References Found Throughout the Walt Disney World Resort." The book has led to the creation of Brent's website. Although it certainly promotes the book, this website has a whole lot more to offer. In addition to being an author, Brent is also an accomplished Disney trivia buff. To say that he knows a lot about "The World" would be an understatement. He led the team that won the first ever D23 Walt Disney World Scavenger Hunt in 2011. This event had hundreds of competitors, including some of the most prominent podcasters, bloggers, and Disney experts. Brent certainly elevated his reputation in the Disney fan community at that event, not to mention that he won a cruise for his efforts! Besides spreading the word about his book, Brent utilizes his website to share his vast Disney knowledge and passion. He has a "Days of the Week" section that highlights things like food, games and hidden Mickeys. Many of the articles are contributed by guest writers. There is also a "Forums" area where fans can communicate about their favorite Disney subjects. The next section of the site is the "W.E.D.nesday Show" which is home to Brent's weekly video podcast. He has been hosting this show since 2009 and has done close to 150 of them. You can find most of the episodes archived here. The next section of the website, labeled "A Closer Look," features detailed overviews of the Walt Disney World theme parks. Brent includes interesting trivia as well as tips in this area. The "Books" section of the site allows you to order "From Screen to Theme." You can also pick it up for the Kindle and the Nook. Brent is writing two additional books that he mentions in this area of his website, one of which should be out soon. The "Other" section of the website is definitely not an afterthought. There are several fun, trivia style games that are updated on a daily basis. There are also some great videos that Brent has taken at the parks. This is the area of the site where you'll find his blog and can read Brent's personal thoughts on Disney related topics. Finally, you can come to the "Other" section if you are interested in current events related to Disney. Brent does a nice job of covering the latest news, such as movie trailers, new attractions, and construction progress. 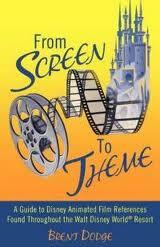 Overall, FromScreentoTheme.com is an excellent website with a bunch of great content. First off, if you are a fan of Disney movies and Walt Disney World (and who isn't? ), you need to get Brent's book as soon as possible. If you are looking for a place full of fun trivia, daily content, and news updates, this is definitely a great site to check out. Brent Dodge is a talented Disney fan and an obvious asset to the online community! If you look closely at the clock in this shot of Cinderella Castle, you will see that it was taken at 1:50. Obviously, with the dark sky, it was in the AM. There were extra magic hours in the park last Friday night, and the Magic Kingdom didn't close until 2:00. Because I was traveling that morning, I had some time to kill and stayed in the park for a while. By the time I left, it was after 2:30, and Main Street was completely empty. It was fun to get pictures of an empty Magic Kingdom. Also, my car was the last one in the parking lot that morning. It was quite a sight to see! This video is from the 2012 Star Wars Weekends at Hollywood Studios. Each morning the stormtroopers act as "security" while walking on the roof of the entrance area. It is fun to hear their dialogue as they chat back and forth and make fun of the guests who are entering the park. This is just one of the many things that makes visiting Hollywood Studios during this event a whole lot of fun. I took this shot early in the morning prior to giving a tour last week. This emblem in stone is located at the Transportation and Ticket Center. This is the location where you can catch a monorail to the Magic Kingdom or Epcot. You can also get a ferry boat to the Magic Kingdom from here. Everyone who parks in the Magic Kingdom lot utilizes the Transportation and Ticket Center. Thousands of guests pass through here on a daily basis. I took this shot of France at Epcot back on Friday of last week. There were some pretty bad storms that afternoon, but I managed to get in some World Showcase time in between the showers. The France pavilion represents a Paris neighborhood in springtime during the era of 1890 to 1914. The Eiffel Tower is a 1/10 scale replica of the real one, and it stands at 103 feet tall. Disney used the original blueprints of the actual tower to construct their Epcot version. This shot of my dad and son was taken at the Norway pavilion at Epcot. The main reason that I am such a Disney World enthusiast is because my dad and mom took me there many times throughout my youth. They realized what a great place this was to spend quality family time together. These trips obviously had a huge influence on me, as my full time profession is based on helping others enjoy Walt Disney World. I have been truly blessed to have such a great dad. He has always been my role model, and I only hope that I could be half as good a father to my little guy. Happy Father's Day dad! This past Thursday, I was lucky enough to get a sneak peak a the Cars section of the new Art of Animation Resort. Although this area is not opening to the public until June 18th, Disney was giving guided resort tours for the past few weeks. The Cars area will be the second of four phases to open. By the time the Art of Animation is fully open, there will be sections dedicated to Nemo (which was the first to open), Cars, Lion King, and Little Mermaid. The Cars section will certainly be the spot of choice for families with young boys. It is themed so that you feel like you are in the town of Radiator Springs. In addition to Lightning and Sally, you will find Doc, Sheriff, Mater, Flo, Ramone, Sarge, Fillmore, Luigi and Guido in the area. Even if you aren't staying here, it certainly worth a visit to check out this amazing new resort. This view of the New York area of Hollywood Studios' Streets of America always amazes me. Disney uses the concept of "forced perspective" in all of the parks, but this is probably the best use of the technique. It is fun to walk behind this display and see that it is just a series of flat panels supported by steel beams. The whole area is only about 20 feet deep. 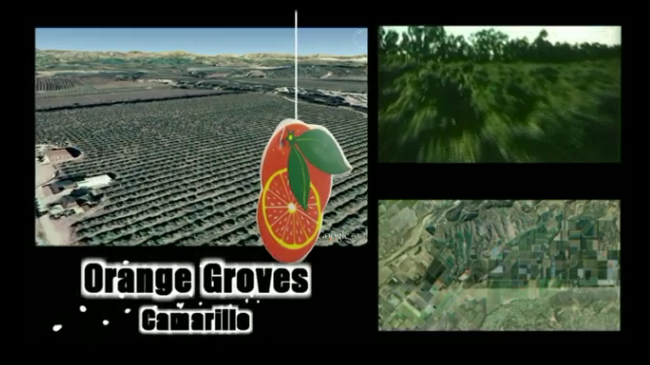 This picture on Living with the Land was taken at 9:30 at night back at the end of April. It is unique in that Epcot closes at 9:00 and you don't often get to see night shots of the greenhouse. However, since Test Track went down for refurbishment, Disney is keeping the Land pavilion open an hour later than normal. It is a different experience riding Living with the Land at night. It is also a different experience riding Soarin' at this hour as there is no line! This picture of the Boardwalk was taken back in April right around sunset. It is a great resort to take a stroll and take in the sights. There are many good restaurants and shops around Crescent Lake. This is one of my favorite areas to visit in the early evening. It is a short walk from the World Showcase exit in Epcot, which makes it a great place to take a break from the park before heading back to see Illuminations. This shot was taken in April at the Theater of the Stars in Hollywood Studios, which is home to the Beauty and the Beast show. In the early days of Disney MGM Studios, they had a "Star of the Day." These celebrities would leave their handprints in cement, similar to what is done in front of the actual Chinese Theater in Hollywood. When the Theater of the Stars re-opened on the new Sunset Boulevard on June 12th, 1994 (exactly 18 years ago today), the cement square containing Howie's handprints was moved to the entrance area. There are several other stars that can be seen in this form near the theater. There are also a whole bunch of handprints that can be seen in front of the Chinese Theater at the end of Hollywood Boulevard. Back in October, I featured a really fun website called PrettyGoodMovieRide.com. From the title, you could probably guess which attraction it is based on. The site's creator, Glenn Whelan, basically replaced the clips from the end montage of the Great Movie Ride with "pretty good" movie clips, while keeping the original soundtrack. The result is an amazing and professional production that can't help but make you smile. While that website is very entertaining, Glenn outdid himself with his latest creation. As a huge fan of modern technology, I love to see when creative people use it to highlight Walt Disney World. Most of the websites and apps dedicated to "The World" give us good information and history about the attractions, restaurants, and resorts. GooglinWDW.com is not the typical Disney fan website. It does, however, pay tribute to one of the best attractions to be found anywhere. 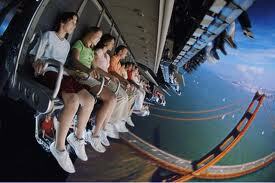 Most people love Soarin' and enjoy their flight over the beautiful landscapes in California. However, the average guest probably doesn't know what parts of this huge state they are actually seeing on the 80 foot tall IMAX screen. Glenn Whelan has changed that with his creation of GooglinWDW.com. Google Earth is a very useful software program that I featured in the second article I ever wrote for Digital Disney World. It allows us to get satellite views of just about anywhere in the world. There are also great 3-D renderings of many areas, including Walt Disney World. Glenn used this technology to its fullest in GooglinWDW.com. Basically, it is a video that is split into three screens. There are two smaller screens on the right hand side and a larger one on the left. The upper right screen is the actual Soarin' movie that we see when riding the attraction. Underneath it, you'll find the overhead satellite view of the areas we are flying over. The real treat, however, is what is on the larger screen on the left. 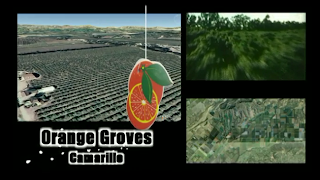 Here, Glenn shows us an animated version of the 3D renderings found on Google Earth. All three of the movie screens are perfectly synced together, along with the Soarin' soundtrack. Personally, I am in awe of this website from a technology perspective. However, for those actually interested in the geography of Soarin, Glenn does a nice job of letting us know what parts of California we are seeing throughout the attraction. As each new scene starts, it is labeled under the large screen. There is a second label, on the right side, that tells us what is coming next. It is a very professional looking production. If someone told me that GooglinWDW.com was created by the Disney company, I would have believed it. However, Glenn's work on The Pretty Good Movie Ride was top notch, so the high quality of this new website is definitely not surprising. I look forward to seeing what he comes up with next. 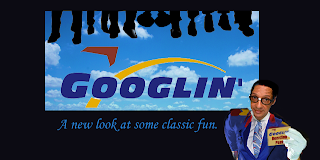 If you are a fan of Soarin, or just love seeing modern technology in action, I highly recommend checking out GooglinWDW.com. This shot of the Adventureland entrance was taken early in the morning, prior to the park opening. It was just prior to the D23 Orange Bird Tweet Meet. I love being in the park early, prior to the big crowds arriving. It is a perfect time of day for taking good pictures. Usually the humidity level isn't bad and the photos are clear. It is also fun to walk into restaurants at this hour. The ones that don't start serving until lunch are totally empty, and I enjoy roaming through them to get pictures of the different props and decorations. I took this shot of the finale of the Indiana Jones Epic Stunt Spectacular about two weeks ago. It has been a favorite of many Hollywood Studios' fans for more than 20 years. Back in 2000, it was closed for refurbishments for about six months. On this day, June 10th, 2000, it reopened with an interesting celebration. Disney invited 500 Floridians, mostly from the Orlando area, with the last name "Jones" to be in the audience for the grand reopening show. I can imagine that it must have been a fun day for the Jones'! This comical sign is located next to a door on a building marked "Cosmetic Dentistry" in the Echo Lake section of Hollywood Studios. It is right next to Peevy's Polar Pipeline refreshment stand. It is another example of Disney entertaining us with the little details that can be found if your willing to look. Most guests never walk up to this area because it doesn't actually lead into a store or an attraction. It is just part of the "story" of Hollywood Studios. This picture of a camel in Adventureland was taken while riding on the Magic Carpets of Aladdin. The attraction has two camels and they both spit water at guests. This one is aimed towards the "carpets" and the other faces guests who are walking by the ride. Both of the camels were originally used in the "Aladdin's Royal Caravan" parade in Hollywood Studios back in 1994. The Hotel du Canada is the main landmark of the Canada pavilion at Epcot. It is modeled after the Chateau Laurier in Ottawa. This is a classic use of forced perspective as Disney made this three story building appear to have six stories. Much like the buildings on Main Street in the Magic Kingdom, the upper floors get smaller and smaller making the building appear taller. At the base of the Hotel du Canada is Le Cellier, one of the most popular restaurants in all of Walt Disney World. This shot of "The Seas" was taken after Illuminations when this section of Epcot was almost vacant. It is rare to be able to get a picture of this attraction without a whole bunch of people walking in front of it. I love exploring the parks late at night when they are quiet and cool. You typically have up to an hour after the official closing to wander around before the cast members ask you to make your way to the exit. It is truly a different perspective from the enormous crowds that can be found during the day! This Giant Galapagos Tortoise is at the base of the Tree of Life in Animal Kingdom. She is 90 years old and is expected to live to be well over 100. Her handler told us that he was using food to guide her to her shelter for the night. This tortoise weighs nearly 300 pounds. The cast member told us that there used to be a 400 pound male tortoise that lived with her, but he was getting too frisky with the female and was moved to a different area of Animal Kingdom. As most of you know, the primary focus of this blog is highlighting ways to use modern technology to "stay connected" to Walt Disney World. In fact, that is basically my tag line. Today, I'm going to talk about a company that truly helps us stay connected using both the internet as well as a physical location. Theme Park Connection was started by Marc Pianko. Like so many of us, Marc grew up a huge fan of Disney and loved going on vacation to Walt Disney World. While in college, he decided that he would like to become a cast member. After graduating, he started his career working at the Disney Institute where he was able to go backstage and see how so much of the magic is made. I think most of us theme park enthusiasts would consider that a dream come true. While working at Disney, Marc started his own eBay store selling Disney pins and other collectibles. After spending seven years working for the mouse, he decided to pursue his own theme park memorabilia business on a full time basis. Due to the relationships that Marc has built and the connections he has made, he has been able to acquire some amazing and unique pieces. In addition to selling merchandise, he also buys and trades with the public. Over the years, Theme Park Connection has amassed an incredibly large collection of Disney theme park stuff. It is estimated that they have over 250,000 items for sale. Due to the company's continued growth, Marc needed warehouse space to house all of the merchandise. This past December, he opened the Theme Park Connection Store in Winter Garden, Florida, and now the general public can see (and touch) the memorabilia in person. I had the pleasure of visiting the store a few weeks ago and to say that I was impressed would be an understatement. I am not much of a shopper, but standing in that warehouse made me finally understand what my wife must feel when walking through an outlet store full of purses. This place is like visiting the "Holy Land" for theme park enthusiasts. I literally walked around the warehouse for an hour with my mouth agape, similar to the look most of us have when first seeing Cinderella Castle in person. I actually thought I heard a choir singing "Hallelujah" at one point, but I think I was just overwhelmed by what I was seeing. There are cast member uniforms, parking lot signs, actual attraction placards, and even props used in shows. In addition to one-of-a-kind items that were used at Disney World, there is also merchandise that was sold at the parks over the past 40 years. I saw guide books, special event pins, hats, posters, and more snow globes than I've ever seen in one place. If you are a Disney pin collector, you will certainly find a whole bunch at the Theme Park Connection store. There are also toys from the parks and movies. I picked my son up a StarSpeeder 1000 from Star Tours, and he was one happy kid when dad brought that home! You can find items for under a dollar as well as things used in the parks that could cost in the thousands. There is something for everyone at this place. be visiting again in the near future! This video was taken in March of 2012 from the upper level of the Main Street Railroad Station. It is an "ambiance" video showing what the Magic Kingdom looks like at the end of the day. I like the music from "Wall-E" playing in the background. It has been arranged to sound appropriate to the early 1900s theme of Main Street. This video is brought to you buy WDWGuidedTours.com. This shot of Eeyore was taken on the Many Adventures of Winnie the Pooh back in April. I'm posting the picture tonight in honor of the attraction's 13th birthday. It opened on June 4th, 1999, replacing Mr. Toad's Wild Ride. Although Mr. Toad was a classic, it made sense for Pooh to take its place. After all, Winnie the Pooh is the second best selling Disney character of all time. I bet you can guess who is the first! This picture was taken in "Walt Disney: One Man's Dream" at Hollywood Studios. Disney recently added this huge model of the Fantasyland expansion project, which is taking place in the Magic Kingdom. When it is complete, the additions will more than double the current size of Fantasyland. You can see the current Mad Tea Party (in brown) and Tomorrowland Speedway at the bottom of the model to give you an idea of where the expansion is taking place. Storybook Circus, which is partially open, is on the right. The Seven Dwarfs Mine Coaster, opening in 2014, is right in the middle. Beast's Castle and the Little Mermaid attraction are toward the back, and they should be open by the end of this year. If you find yourself in Hollywood Studios in the near future, make sure to check out "Walt Disney: One Man's Dream" and take a look at this model. It definitely got me excited for what is coming to the Magic Kingdom. There are many hidden treasures to be found at Walt Disney World, and Yehaa Bob certainly falls into this category. I have been hearing about Bob Jackson for many years, and finally had the opportunity see him perform his show last Friday night. Yehaa Bob has been the featured performer for over twelve years in the River Roost Lounge at Disney's Port Orleans Riverside Resort. He is a master piano player and singer who entertains the crowd with his lively and energetic show every Wednesday through Saturday. He does a great job at engaging his audience. There are conga lines, sing alongs and dancing. If you are looking for a fun night while on vacation at Walt Disney World, I highly recommend checking out Yehaa Bob! I took this picture of the Jungle Cruise sign last week while giving a tour of the Magic Kingdom. The little boy on the tour wanted to know where all of the "hidden Mickeys" were located. Here is a good example from one of the classic attractions in Adventureland. If you look closely at the bottom of the "J" you can see the three barnacles forming the classic Mickey. There are over 150 hidden Mickeys in the Magic Kingdom. If you are interested in learning where they are located, I highly recommend checking out Steve Barrett's website at HiddenMickeyGuy.com. World of Motion was an original opening-day attraction at Epcot Center. It was a family favorite for many years. It closed in 1996 and was replaced by Test Track in 1999. It was pretty dark inside the ride, but this short video taken by my dad in 1983 gives you a feel for the attraction.